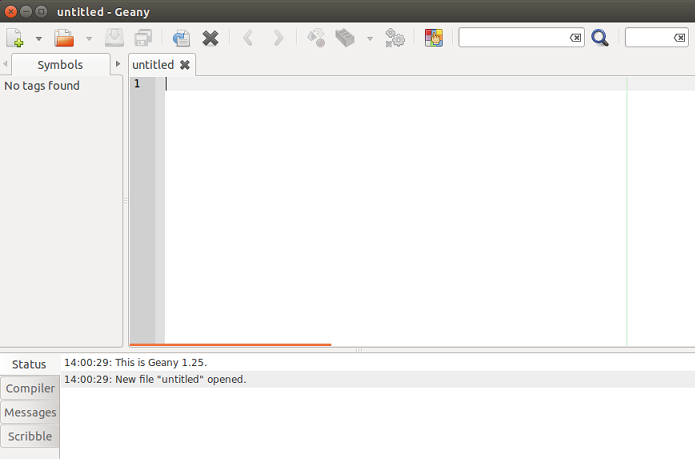 Geany is a lightweight, free, cross platform text editor and Integrated Development Environment (IDE). It is GTK+ based and has abundance of features. The design goal of this tool is to provide a fast and stable text editor. It is widely used by normal desktop users and programmers to write their code. It supports large number of modern programming languages and works flawlessly on Linux, Windows, Mac OS, Free BSD and solaris operating systems. Here are some of the noteworthy features in this application. It provides multiple documents and projects support. It provides syntax highlighting feature for programming languages and support for auto-completion of words. Easily navigate among your source code using this editor. It has a built in terminal emulator application and lets developers build and execute code using external tools as well. You can extend the functionality of Geany with the help of both free and paid plugins available out there. Geany latest version is 1.25, but this version is not yet available in the operating system’s package repositories, so in order to install and use this latest version, we will need to follow the source installation method. Let’s see how we can install it on Ubuntu Linux. 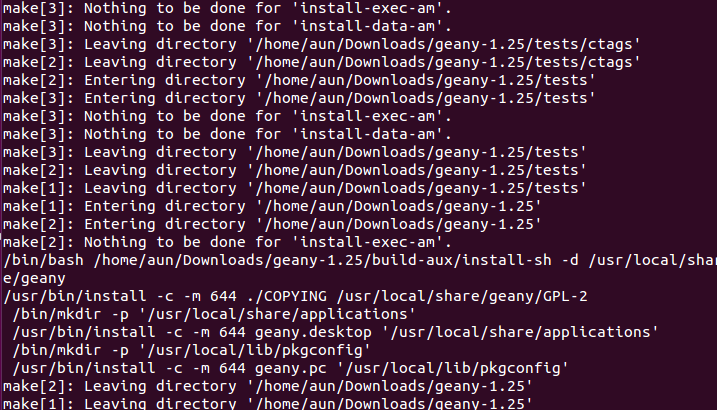 Once the installation of GTk is complete, download the latest 1.25 version of Geany from following URL. 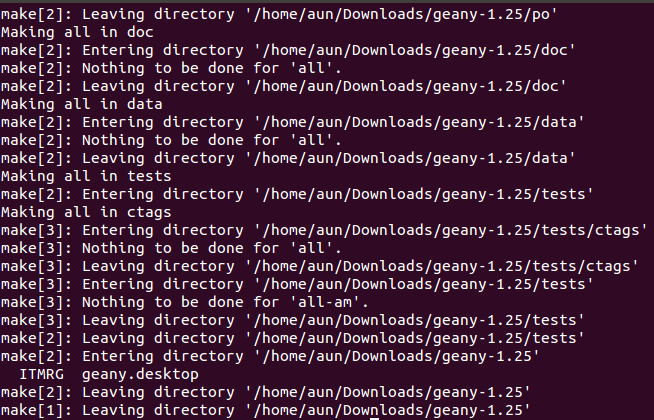 Once the download process complete, launch your terminal and go to the download location. Here run following command to extract the downloaded file. Here run following command to start the installation process, it should take a while to complete. Here is how the successful completion of “configure” command should look like. Now run the following command to take the installation to next level. 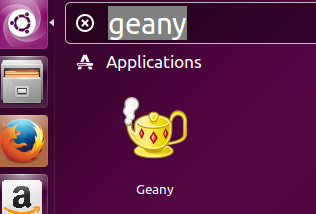 Congratulations, Geany has been installed, launch it from Applications menu. Starting using this wonderful text editor. Hi thanks 4 u post, i love this text editor. I hope to have an email from you soon.